Space Business is doing better than ever. According to Bryce Space & Technology (formerly Tauri Group), the 2015 Global Space Industry is $335B, and has been growing every year. With lower cost to orbit, Moore’s Law applied to any size satellites, barriers to entry are melting away and the floodgates are opening. A variety of Small-Sat Launch vehicles are coming on line and we will showcase some at ISDC. New business models are emerging for space development, drawing investment as risks are mitigated and opportunities expand. 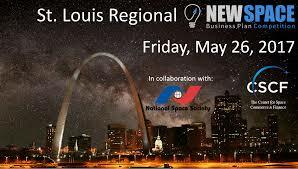 This year’s ISDC includes the St. Louis Regional NewSpace Business Plan Competition. Conference attendees sit ringside for intense pitches from emerging space-scalable businesses. Professional investment manager, entrepreneur, and space technologies investor. 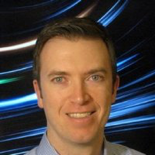 Steven currently directs investment decisions for two hedge funds – Woodridge Capital, and Viridian Fund, and is an Investment Advisor Representative for Fifth Point Advisors LLC. He previously worked for proprietary trading groups and market makers on the Chicago Board of Trade, and the Chicago Board Options Exchange, and has served as Portfolio Manager for both fixed income and equity derivatives funds.